Weekend Event: Increased Chance of Golden &amp; Silver Crates! 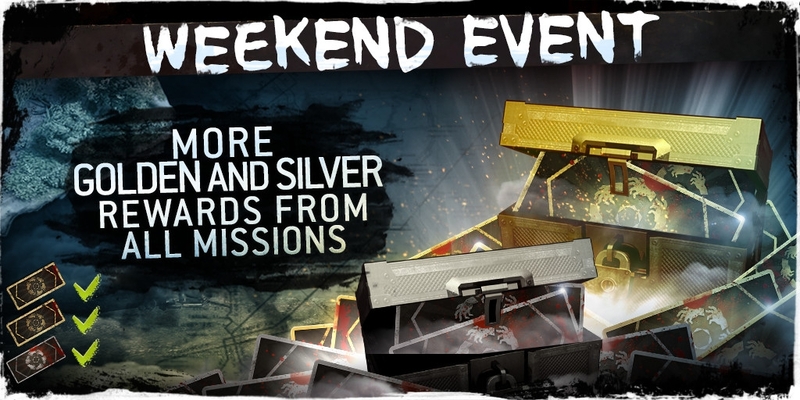 This weekend you have higher chances of finding Silver and Golden crates in Mission rewards. In addition, the cost of extra unlocks is decreased to 15 gold bars.